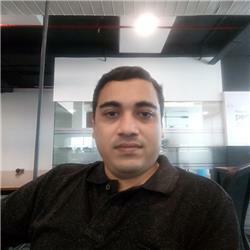 Akshay Patel is working as Technical Architect at Teletext India Limited in Hyderabad. He has around 11+ years of experience in IT industry. He is certified Technology Specialist, Professional Developer, Solution Developer. He is also a Microsoft Certified Trainer since 2013. He is four times C-Sharpcorner MVP. You can follow him on twitter @akshayblevel.